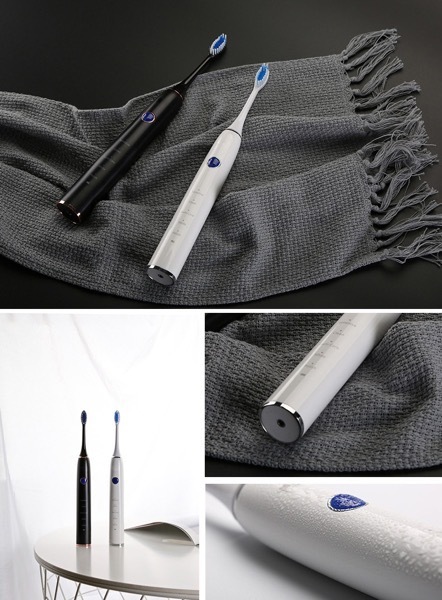 A smart new powered toothbrush system is coming to market. From the company PowSmart Technology Co., Ltd. The company was created 14 years ago and they worked with lots of brands you may have heard of such as Incipio, Lidl, Homedics, Pearl, and Joy Factory. Now the company has set it sights on the powered toothbrush market here in the U.S. with their Sonic Electric Toothbrush line featuring models PTR-C3-6. The devices also come in a variety of colors including white, pink, and my favorite… black. I’m always on the lookout for a new, affordable brush to recommend to my patients. If you happen to be in the Chicago area this week, PowSmart is exhibiting at the Private Label Trade Show. Their sonic toothbrush was selected by the PLMA show as the premium product to display in their Idea Supermarket which is the “Highly Recommended Product Display Hall) and is the only one selected in the toothbrush/electric toothbrush category.